In autumn, leaves grow red and fall from the trees. The days grow shorter and the weather gets colder. Fruits ripen. Squirrels look for nuts and seeds. The world gets ready for winter. 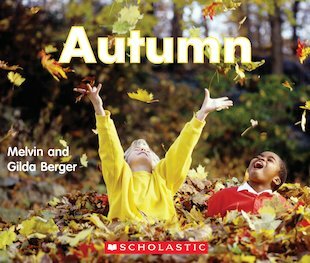 Learn what to look for in autumn as you read this easy fact book. Short sentences and simple words help you along, while amazing colour photos show you all the magic of autumn.